In Paris, Christmas is one of the most beautiful times of the year. From the trees of lights along the Champs-Elysées, to the decorations that can be admired outside of places like Galeries Lafayette, it’s a magical time to explore the city streets. On this tour, you’ll not only come face-to-face with Paris’ most beloved monuments, you’ll also be driven through the city to see amazing Christmas decorations that light up the streets. 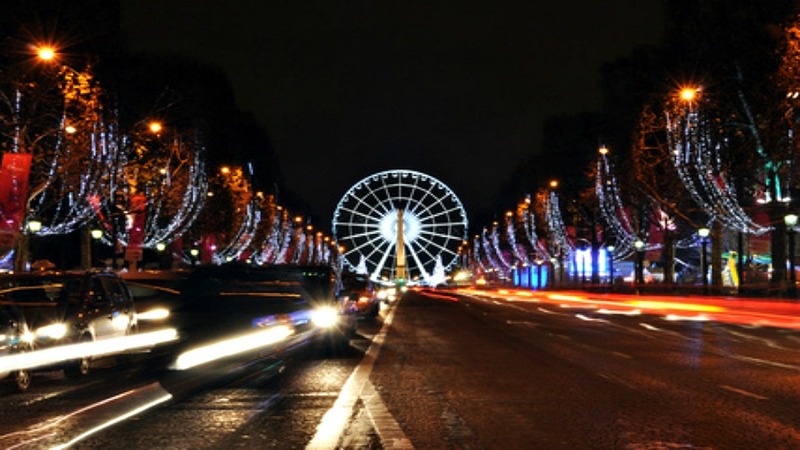 A private certified guide and a personal chauffeur will pick you up from your hotel in a Mercedes minivan, and take you to see Champs-Elysées Avenue, which is the most beautiful avenue in the world (especially during the Christmas season), and Notre Dame Cathedral’s giant Christmas tree. Along the way, you will also see such notable sights as the Eiffel Tower, la Place de la Concorde, and the Arc de Triomphe. This is one of the best seasons to see the “City of Lights” in all its splendor! December 1-December 30. Available times are decided upon booking. Transportation in private Mercedes minivan is included with the price. Price includes an entertainment game book for children.